New Ulm, MN - November 27, 2013 - The August Schell Brewing Co., the second-oldest family-owned brewery in the country, brewer of Schell’s and Grain Belt, has distinguished itself once again by winning three more World Beer Championship medals from the Beverage Testing Institute (BTI). August Schell Brewing Company, located in New Ulm, MN, sits atop the same site it was built on in 1860. With its sprawling grounds, beautiful gardens, Schell Mansion, and deer park, the brewery is a tourist destination for any beer lover. 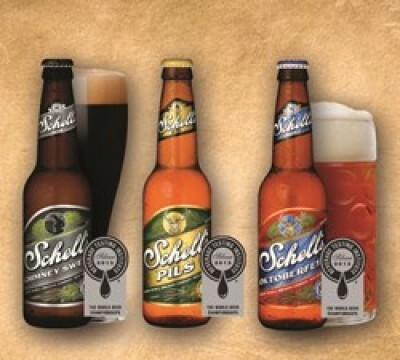 Schell’s boasts a proud heritage of 153 years of continuous family ownership and specializes in craft beers. In addition to the line of specialty beers, Schell’s also produces Grain Belt Premium, Grain Belt Premium Light and Grain Belt Nordeast. For more information on Schell’s Brewery, tour schedules or any of their 17 quality beers, go to http://www.schellsbrewery.com. Tagged: August Schell Brewing Co., Inc.
(Poncha Springs, Colorado) – Elevation Beer Company and Favorite Brands LLC of Dallas, Texas are teaming up to bring Elevation’s Black and Double Black Series of specialty and barrel aged beers to Texas. Favorite Brands will start distributing limited amounts of Elevation’s seasonal Black and Double Black Series in 750ml bottles and draft to Dallas, Forth Worth, Austin, and Houston as soon as Elevation receives label approval. The first beers to roll out will include Elevation’s award-winning Apis IV; their Downpour a fresh hop Extra IPA; and Fanboy, a virgin oak-aged double IPA. Texas will be Elevation’s first out of state market since opening in May of 2012 in Poncha Springs, Colorado. In less than 18 months of operation, Elevation has won 6 medals for excellence and has 5 beers rated 90+ on the consumer beer rating website ratebeer.com. Elevation will kick off its launch in Texas with a series of beer tastings and events, so make sure and check out their website and Facebook page for more information and exact dates and times. 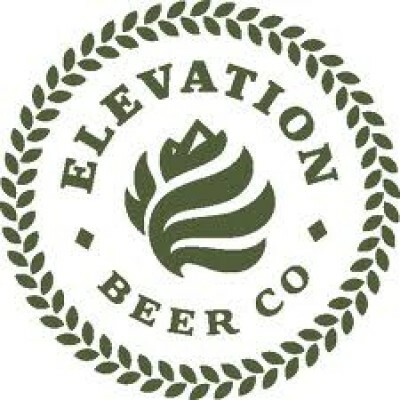 Elevation Beer Co. is an artisan microbrewery located in Poncha Springs, Colorado, just minutes from Salida, Monarch Ski Area, Arkansas River Headwaters, and fifteen 14,000-foot peaks. Elevation specializes in brewing large adventurous beers for the craft beer fanatic, while trying to elevate the perception of what beer can be. Washington, DC - According to CEO & Co-Owner Brandon Skall, being a community-based business is about more than just having DC in our name. This season, the brewery, located on Bladensburg Road in NE Washington, is helping to fight hunger around the city by brewing a special beer in order to donate its spent grain for a special fundraiser with Pizza Paradiso to benefit Bread for the City (www.breadforthecity.org). “We are so proud to be continuing the Bread for the City Program for the third year with our friends at Pizza Paradiso,” says Skall. Over the past two years, the brewery has donated its spent grain created from the brewing process to Pizza Paradiso, who then has turned that grain into loaves of bread baked especially for Bread for the City during Thanksgiving. Last year, the restaurant created a special pizza crust, also using the spent grain, to raise additional funds to donate to the charity. This year, DC Brau’s Co-Founder & Head Brewer Jeff Hancock has formulated a special limited-edition English Stout, named Pauncy Stout, crafted specifically for the baking potential of its malted by-product. “I was going for a very traditional English Stout with a large addition of malted oats and flaked barley to make for a smooth quaff, but also to make a great pizza crust or loaf of bread from the spent grain,” says Hancock. The spent grain will be used for the Brewer’s Grain pizza crust available at all Pizza Paradiso locations from Thanksgiving through Christmas for a $2 additional charge. All proceeds from the extra $2 charge will go to Bread for the City, in addition to the 150+ loaves they plan to bake and deliver to the organization next week. “I especially love the fact that we turn something that would otherwise be unused into something good for so many people," says Pizza Paradiso’s Executive Bar Manager Greg Jasgur, who has been elemental in the creation and expansion of this joint fundraiser over the last three years. DC Brau Brewing Company, founded in 2009, is located in North East Washington, D.C. Co-founders Brandon Skall and Jeff Hancock are DC locals with a passion for brewing, complimented by years of experience in beverage distribution. 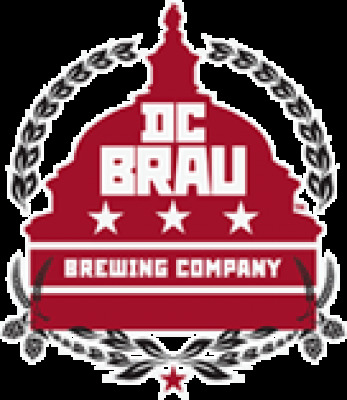 DC Brau’s signature brews include: The Public (Pale Ale), The Corruption (IPA), and The Citizen (Belgian style Ale), with seasonal and special brews to follow. For more information on DC Brau, visit http://www.dcbrau.com. ST. PAUL, Minn. – (November 22, 2013) –Summit Brewing Company has been recognized for their community and business contributions with the Minnesota Keystone award from the Minneapolis Regional Chamber of Commerce and with the Minnesota Restaurant Association’s Allied Partner of the Year award. The Minnesota Keystone is a program within the Minneapolis Regional Chamber of Commerce that recognizes companies donating at least 2 percent of their pre-tax earnings back to their local community. In 1976, 23 Minnesota companies created this program (originally known as "The 5% Club") to recognize and encourage charitable giving in the state. The commitment of Minnesota Keystone participants continues to serve as an example to other businesses, both here and around the globe, and to sustain Minnesota’s spirit of generosity and sense of community. In its 37th year, the Minnesota Keystone Program will honor Summit Brewing Company, Cardinal of Minnesota and Land O’Lakes at the annual celebration luncheon on December 12 at the Hyatt Regency Minneapolis. Gregg Steinhafel, Chairman, President and CEO of Target Corporation will be the keynote speaker and address over 600 people in attendance. The Minnesota Restaurant Association Allied Partner of the Year award is given to a member of their association who has demonstrated outstanding commitment to the restaurant industry and community. Summit will be honored at their annual holiday party on Monday, November 25. Bottles can be purchased individually, or by the case. Buy a case and get $20 off and receive a free Barrel Aged Series T-Shirt . Shoreline Brewery can also cater a holiday party at the restaurant or offsite as small as cocktails with hors d’oeuvres, to box lunches to large buffets. For more information, contact Shoreline Brewery at 219.879.4677, or www.shorelinebrewery.com. Shoreline Brewery is located at 208 Wabash Street in Michigan City, Indiana.